Please Log in to download this issue. 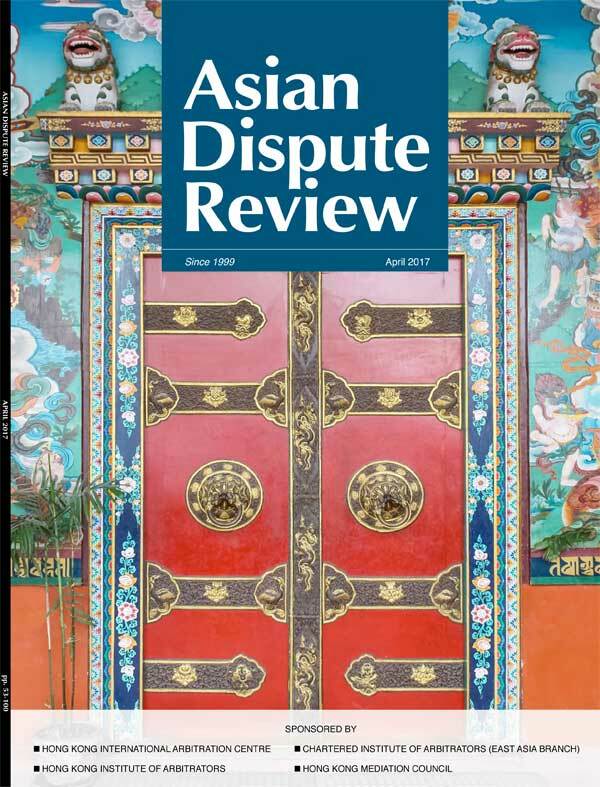 We commence this issue of Asian Dispute Review with an article in which Sir Vivian Ramsey discusses the challenges facing international arbitration. Jay Santiago then provides an insight into the determination of challenges to arbitrators by HKIAC. This is followed by an article by Koh Swee Yen which looks at the arbitrability of shareholder disputes in Singapore, as well as a piece by Julian Copeman, May Tai and Anita Phillips on recent developments in Hong Kong mediation. our ‘In-House Counsel focus’ article by Man Sing Yeung and Robert Morgan provides an arbitrator’s view on how to select institutional international arbitration rules. Recent developments in arbitration in Hong Kong are discussed in our ‘Jurisdiction focus’ by Cameron Hassall and Thomas Walsh. Finally, Robert Morgan reviews Datuk Professor Sundra Rajoo’s latest text, Law, Practice and Procedure of Arbitration. © Asian Dispute Review 2019. All rights reserved.